I am facing issue while booting up on my PC . 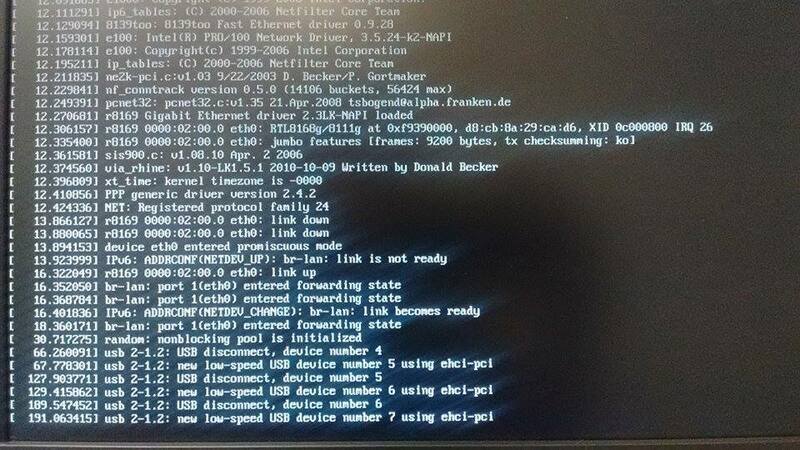 I am trying to boot the openWRT from usb on my x86 pc. I compiled the openWRT for X86 target and generated the below binaries. I am getting below mentioned error. 11258935_10204772765931703_266745194_n.jpg​ (109.6 KB) - added by anonymous 3 years ago. but after that also My issue has not been resolved. Is it a problem due to scsi ? should I enable kmod-scsi-core also ? I think it is a issue of configuration settings. Please let me know any suggestion. My requirement is very simple I just want to boot x86 machine and I have downloaded repository from ​​git://git.openwrt.org/openwrt.git. I have attached image also for more information. Please any body can help me out ? May be there is a problem with file system. (Creating bootable pendrive).